Okay, maybe that approach is a bit simplistic when your car breaks down and you need to choose a mechanic. But for many people, taking their car to the shop is an intimidating experience. They aren’t car-repair experts, after all, and they want to be sure they can trust they’re getting a fair deal. Below are questions from Consumer Reports, car blogs and other experts — some are for you, while others are questions any mechanic should be happy to answer in order to educate you and put your mind at ease. If you don’t like the responses, take your car elsewhere. My car is doing (X). What do you think it could be? First things first: Don’t be afraid to call the shop and ask about anything! When a dashboard indicator lights up, the car starts making a strange noise or it feels like it’s driving differently, a lot of people clam up because they don’t want to sound stupid. That can end up costing you money in the long run, because whatever problem you have could get worse if you wait. Is your work guaranteed? Get specifics and compare between shops for the same type of repair. And always find out before you have any work done. Do you specialize in specific makes or models? A shop focused on Japanese cars might not be best for you if your car is European. Can you prioritize these repairs? What needs to be fixed now? Getting a long list of what’s wrong with your car can be daunting — and expensive. So ask if certain repairs can wait. What would you do in my shoes? 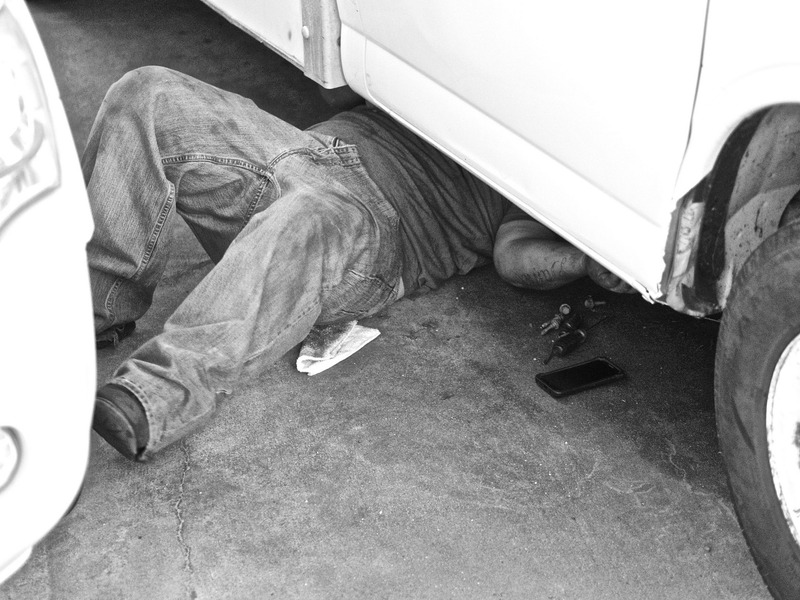 A trustworthy mechanic can provide guidance beyond simply fixing your car. For example, if you have an old car, they should be able to help you determine whether a particular repair is worth the cost. How does the shop look? According to car blog Jalopnik, you should look for shops that are clean and well-lit — and that have different cars rotating through the lot. That last part is important, because if you’re seeing the same cars again and again, or cars that never move, it could be an indication of slow or shoddy work. What do other people say about their experience?Ask friends and family for recommendations. Check online reviews and the Better Business Bureau. You can even ask the shop for references. Do you feel comfortable? A mechanic shouldn’t pressure you or make you feel uncomfortable just because you’re not an automotive expert. They should work with you so you understand the process and what your car needs. If you don’t feel good about working with them, don’t. Finding a mechanic you can trust isn’t easy, but it’s worth the effort. It feels great to know your car is in good hands — and it feels even better to know that the person fixing it isn’t taking advantage of you. Top image by Flickr user Mark Ittleman used under Creative Commons Attribution 2.0 Generic license. Image cropped and modified from original. A Primer on Potholes Do You Need Rental Car Insurance? Copyright © 2016 All Auto Insurance Agency, Inc., dba Assurnet Insurance Agency - TX License 6041 All rights reserved.